Did you know that you can own a sugar glider? 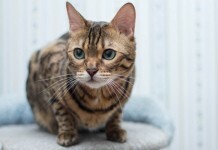 These adorable, small pets can often be purchased at local pet stores or at breeder and will leave you with a companion that is furry, friendly and cute. If you are not sure if you want to buy one, here are 9 awesome reasons to welcome one into your family. These animals have an average life span of 12 to 15 years. It’s equivalent to most dogs and cats. 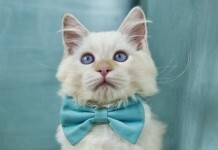 Unlike other animals, they will become a part of the family and be around for birthdays, holidays and even anniversaries. For a child, this is a great benefit as they will grow up with their furry friend. If you have heard the rumors that sugar gliders are difficult to care for, don’t worry, this is a fallacy. Now, there are commercial products, in the form of food pellets, which can be purchased as food. You will also need to feed your glider fruits and vegetables and a calcium supplement. In total, you will spend just $10 to feed your animal per month. They love to be in groups, and they are very social. If you are afraid of them not wanting to be around you, this is unfounded. Instead, they will want to be close to you at all times. However, this species will be far happier and more content when they have a playmate of their own kind to spend their life with. If you have a cat, you will know that sometimes they are playful, and other times, they want to be left alone. Sugar gliders, however, will always be ready to play when you are. By nature, these animals are very playful, so you can throw small balls or get other smaller toys to spend time with them. If they have the space, you will see just how acrobatic this species can be. Every person wants to be able to put their pet in their pocket and bring them everywhere they go. Unfortunately, most pets are simply too big to fit in our pockets comfortably. Sugar gliders, however, are so small that they can fit right in your pocket at all times. You will need to ensure that your pet is very comfortable with you at this point because they have very sharp claws. While a tamed glider loves to cuddle, one that is scared or threatened may scratch you out of fear, so be cautious. Ideally, you will want a few weeks before carrying your little buddy around the house. The average size is 5 – 6 inches in length at the most. Many people do not realize that sugar gliders truly do glide. They will open their arms and legs wide and will glide. This is an awesome sight, and one that will fascinate younger children. The best part is that your little pet will not get hurt when falling due to their natural instinct. Do you think cats are agile? Sugar gliders will turn your home into their very own jungle gym if you allow them. With their sharp claws and small body, they are able to run up brick walls and even on tapestries that do not look like it would be possible to walk on. Most animals hate cages. When an animal is not a dog or cat, they will often need to be placed in a cage unless they are trained very well. Sugar gliders love to have their own space. A dwelling where they can run, hide and sleep. If you have a small space, you will be happy to know that a rather small cage is all that is needed. The best part is that if you include a little space for them to climb and sleep in their cage, they will never give you a hassle when put in their cage. People in smaller apartments will find that this is just one of the many awesome reasons to get one. 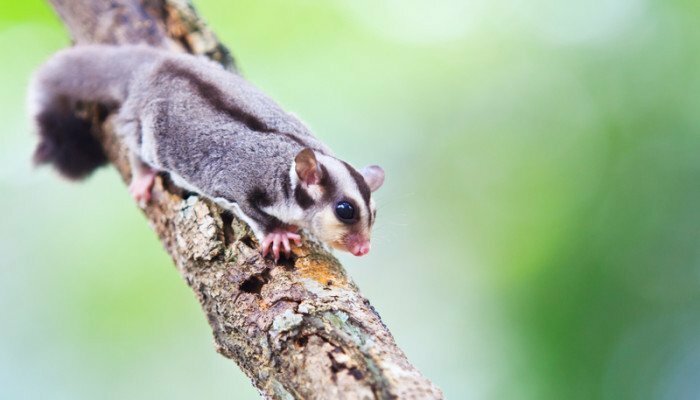 When you combine this into a pet that is a mere 5 to 6 inches in length, you will find that sugar gliders are simply adorable.